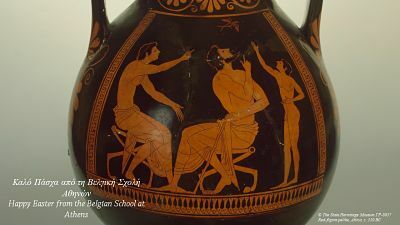 Welcome to the website of the Belgian School at Athens. We are primarily engaged in archaeological research in Greece, which especially includes excavation and survey but also material studies and the publication, presentation and preservation of results. Our main projects are the excavations at Thorikos in South Attica (Lavrion Attikis), and, on the island of Crete, at Sissi (Agiou Nikolaou) and at Itanos (Sitias), both in the Lasithi province. Apart from these projects, we host a library with a large number of Belgian publications on Greek archaeology, we organise conferences, seminars, courses, and colloquia. From all of us at the Belgian School at Athens, the very best wishes for Happy Easter! Από όλους εμάς στη Βελγική Σχολή Αθηνών, οι καλύτερες ευχές μας για Καλό Πάσχα! 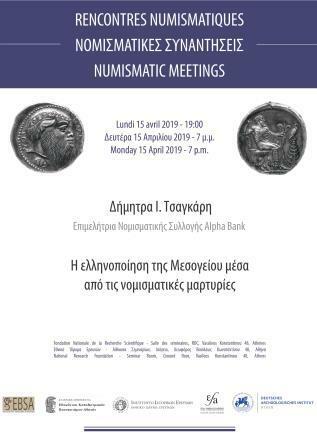 "The Hellenization of the Mediterranean seen through numismatic evidence" [lecture in Greek: Η ελληνοποίηση της Μεσογείου μέσα από τις νομισματικές μαρτυρίες]. Please take note of the following changes related to previous years; the seminar starts at 7 pm and second, it will take place (for the whole seminar) at the ground floor seminar room of the National Research Foundation, Vassileos Konstantinou 48. EBSA's putting forward one of the many aspects of its specialization: Minoan Crete. Our director, Prof. Jan Driessen, discussed "Europe's first civilization" both in "Le Monde" and answered questions live from Cyprus for La Première of the RTBF. The Minoan civilization under the spots of "Le Monde" and the Belgian teams of the EBSA are among the most important. If you want to know everything about Minoan languages and society organisation in 10 minutes by one of the top specialists, follow the interview by our director Jan Driessen on Belgian Radio (RTBF) in French. Interview given from Pyla, Cyprus where another Belgian team is excavating! 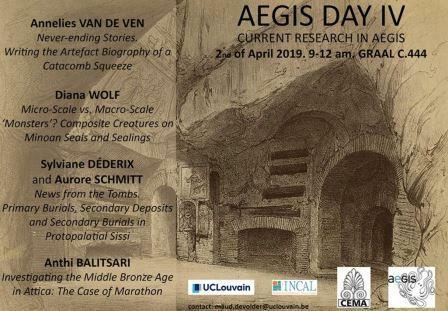 Workshop organized by UCLouvain, INCAL, CEMA and AEGIS.